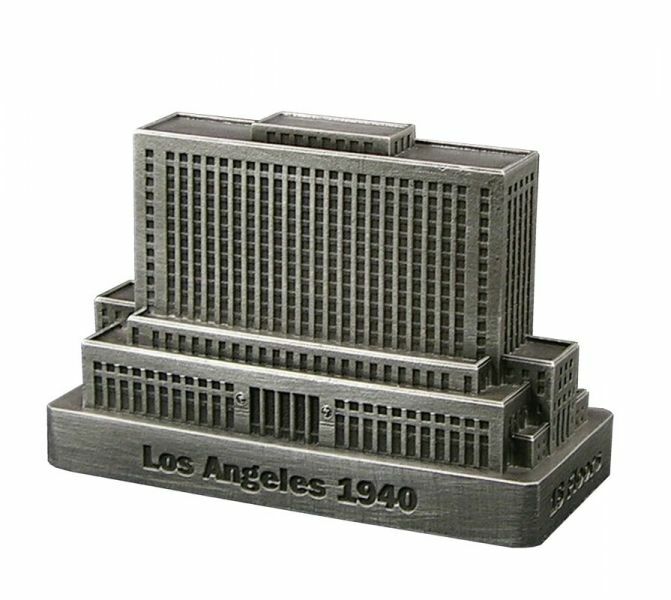 The LA Federal Building is located at 312 North Spring Street in Los Angeles, California and was completed in 1940. This building was designed by Gilbert Stanley Underwood and Louis A. Simon and stands 255 feet tall with 18 floors. This building was originally the U.S. Post Office and Court House. This pewter replica stands 2-1/8 inches tall and is finished in antique pewter. This model's scale is 1 inch = 150 feet.